Free download - programs for Windows Microsoft Office Word Viewer, FastStone Image Viewer, FastStone Photo Resizer, FastStone Capture, FastStone MaxView, GridLines, Morae, Word Juice, Odd Box, Snagit Screen Capture Software Free download! »» Free download Microsoft Office Word Viewer! Microsoft Office Word Viewer ::: a computer program used to view Word documents. With Word Viewer you can view, print and copy Word documents. Word Viewer can open the following formats: Word Document - .docx - Word Macro-Enabled Document - .docm - Rich Text Format - .rtf - Text - .txt - Web Page formats - .htm, .html, .mht, .mhtml - WordPerfect 5.x - .wpd - WordPerfect 6.x - .doc, .wpd - Works 6.0 - .wps - Works 7.0 - .wps - XML - .xml. 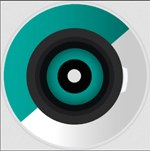 »» Free download FastStone Image Viewer! FastStone Image Viewer ::: a computer program used to view images. FastStone Image Viewer is a viewer that allows viewing of most graphic formats: BMP, JPEG, JPEG 2000, GIF, PNG, PCX, TIFF, WMF, ICO and TGA. FastStone Image Viewer also allows a simple editing and conversion of images. 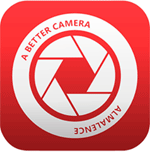 »» Free download FastStone Photo Resizer! FastStone Photo Resizer ::: a computer program used to edit images. FastStone Photo Resizer is used, in particular, to resize the photos. FastStone Photo Resizer also enables the conversion between formats of image. »» Free download FastStone Capture! FastStone Capture ::: a computer program used to make screenshots. FastStone Capture also includes basic editing tools to screenshots: add text, resize, crop, etc..
FastStone Capture can save captures in BMP, GIF, JPEG, PCX, PNG, TGA, TIFF and PDF. »» Free download FastStone MaxView! FastStone MaxView ::: a software for PC used to view digital images. FastStone MaxView is an advanced, compact and innovative viewer. FastStone MaxView is compatible with most popular image formats. Morae ::: a collection of applications for analysis and usability testing. Morae is a very good software package for webmasters. Morae includes the following components: Recorder, Observer and Manager. »» Free download Snagit Screen Capture Software! Snagit Screen Capture Software ::: a computer program used to make screenshots. Snagit is very useful when we want to take a picture with what is on the desktop. Snagit makes it possible to capture the entire desktop or only one part.